Corb7 International June 8, 2018 Newsletter | Corb7 International, Inc.
Tax havens have a long history, have been under tremendous attack for approximately the last ten years, but might remain inevitable in the future as long as governing authorities impose tax legislation, which is perceived as unfair. It does not really matter whether or not the tax is justified, but it is the perception of those paying the tax that counts. To gain an understanding of tax havens it is important to define the difference between tax avoidance and tax evasion. These are legal terms that are poles apart. Tax avoidance is the legal utilization of tax legislation and/or investment vehicles in order to reduce the amount of tax that is payable. By contrast, tax evasion is the general term for illegal efforts not to pay taxes that extend outside of the law. Therefore, as a law-abiding citizen, it is perfectly within your right to avoid tax, but people run into trouble by crossing the line to evasion. 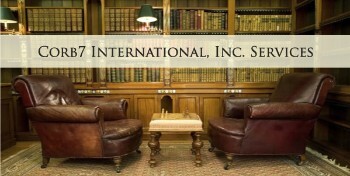 It is important to reiterate that, generally speaking and for the purposes of this column, the amount of avoidance that can be accomplished through offshore entities is minimal and best done by an experienced, international tax professional. Further, if you are a US citizen, there is virtually no tax benefit to going offshore as you are taxed on worldwide income. 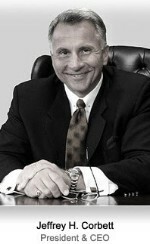 The phrase tax haven is often considered to be synonymous with offshore. In this day of worldwide income tax, however, the conventional characterization of the term tax haven is seemly on a path to antiquity. Starting with the Organization for Economic Co-operation and Development’s (OECD) report on “Unfair Tax Competition,” published in the year 2000, a war has been waged by the world’s wealthiest countries against tax havens. Economic and political pressure has been steadily applied to these nations resulting in a totally new international landscape. With teams of CPAs and tax attorneys even the world’s largest multinational corporations are finding it increasing more difficult to structure their dealings in such a way as to benefit from jurisdictional tax relief. The only remaining logical conclusion is that it is rarely possible for an individual to do so. Offshore financial centers, therefore, are less tax driven and much more focused on capturing direct foreign investment by offering businesses lower regulatory environments to operate in and protection from litigation. Historically, tax havens have come in all shapes and sizes, each differing according to their own culture and the type of capital they wish to attract. Therefore, they are not easily defined. It is nearly impossible to provide a specific interpretation that will not result in the exclusion of an important participant. Clouding the picture even further is the fact that governments commonly make singular concessions to large corporations in order to create jobs and bring in industry. Grants, loans or tax holidays are frequent enticements offered to these types of entities on a specific project basis. As means of comparison and contrast we like to draw an imaginary line dissecting tax havens (and offshore financial centers) into two separate categories. This is of assistance since again there is no exact consensus. Consequently, for our analysis we will express tax havens as falling into one of two broad groups defined as either “low” tax havens or “no” tax havens. A “Low” Tax Haven – is defined as one in which local income tax would apply to business transacted within its domestic borders but not to foreign source income. So, in other words, business transacted outside the jurisdiction is exempt from any tax. A “No” Tax Haven – is defined as a country that is totally exempt from corporate and personal income tax. Business can be transacted both domestically and internationally without tax ramifications. There is, however, usually a nominal, annual stamp duty collected by the government that is determined by the capitalization of the company. There are three main geographic areas that are commonly recognized for having nations that would fit these parameters. The Caribbean is best known for offering a tropical atmosphere and its proximity to the United States. Up until the early 1960’s, it was commonplace and perfectly legal for wealthy Americans to place cash here while on vacation and thus out of the reach of the tax man. The South Pacific is a lesser-known area but still a major presence, especially with Asian investors. Finally, Europe has several countries that represent the oldest and most respected havens of the world. 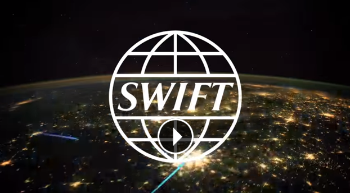 SWIFT now offers access on a “pay-as-you-go” basis. Easy to use, cost-effective and reliable, it lets you exchange all SWIFT messages and file types and use secure browser services from SWIFT and market infrastructures. This service meets the needs of all types of SWIFT customers, including: banks, trust companies, investment managers and broker/dealers. 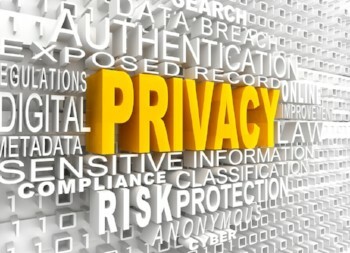 Over the last few weeks personal privacy is again in the news. If protecting an individual’s right to personal privacy is of importance to you then the following video would be wise investment of your time. 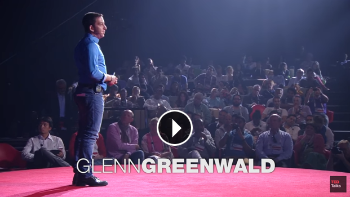 We found Mr. Greenwald’s insights and analogies inspiring and hope you do too. It may well be the best talk on the subject we have ever seen. 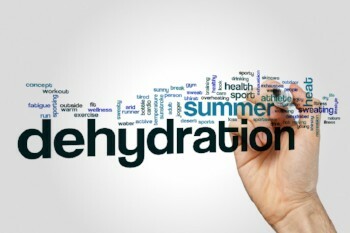 Dehydration is a serious yet preventable threat to men, women and children. Emergency Food … Just by Adding Water! With the recent tragic events in Hawaii, we thought it an excellent time to review an emergency food provider. 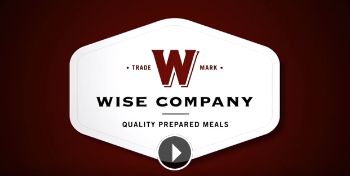 WiseFoodStorage.com is a company that provides real food options, which can be prepared in minutes by just adding water. Since we live in earthquake country, this is a product that we personally use and have in storage. Tips to Find a Great Summer Rental! The growth of lodging websites such as Airbnb and VRBO has given travelers more temporary housing options than ever before. Such sites may appeal to those vacationers who want a taste of home away from home without having to pay potentially exorbitant hotel prices. The cost savings of vacation rentals can be considerable, providing more bang for budget-conscious travelers’ bucks. But vacationers who have never strayed from the hotel/resort path may be hesitant to dip their toes into the vacation rental waters. While travelers accustomed to staying in luxury hotels may need to adjust their expectations when booking vacation rentals, the following are some ways to find a great vacation rental that suits you and your fellow vacationers. · Make a list of your lodging priorities. Popular lodging and vacation rental websites offer an array of options, so make a list of your lodging priorities so you can find the right fit without having to peruse hundreds of listings. If you want to save money by cooking your own meals, then a home with a full kitchen may be your biggest priority. If beach access tops your list, then you can save time by searching for oceanfront homes or condos. If saving money is your biggest priority, then expand your search to properties further away from coastal areas or homes, but are within walking distance of local nightlife. What you sacrifice with regard to view and convenience you’ll recoup in cost savings. · Don’t pull the trigger too quickly. Low prices may tempt prospective travelers, especially those accustomed to staying in expensive hotels, to book lodging before they full vet a property. Fight the temptation to book a rental before you have done your homework. 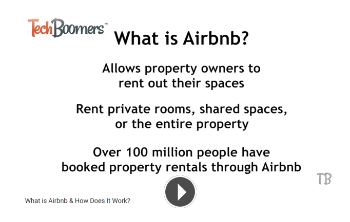 Learn as much about the rental as you can before booking your stay. Read reviews of the property and carefully examine the property listing so you know exactly what you are getting. Carefully examine any photos included in the listing, and try to confirm that the property is not in foreclosure, which may pose problems when you’re ready to embark on your trip. Find out as much as you can about the property owner as well. Some are renter-friendly while others may have poor reputations. · Determine who handles any potential problems that arise during your stay. Unlike a hotel stay when you can simply call the front desk and request a maintenance staffer be sent up to address any problems that arise in your room, you may be on your own in a vacation rental should the refrigerator go on the fritz or the air conditioning unit suddenly stop working. Determine how problems are handled before booking a rental. Rental homes that are part of a homeowners’ association may have on-site maintenance ready to respond to any issues, while homes offered by private homeowners may come with no such benefits. · Book early if you’re attending a specific event. Hotels book up quickly on busy weekends, and so do vacation rentals. Vacation rental prices fluctuate just like the cost of hotel rooms, so begin your search early if you are traveling to attend a festival or another event that figures to attract large crowds. Vacation rentals can save travelers money, but finding the right fit requires effort on the part of vacationers.